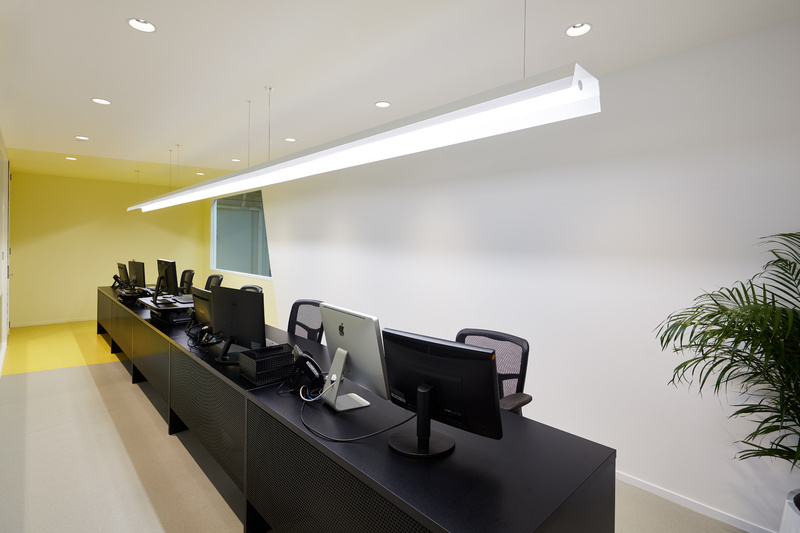 AMBIENCE LIGHTING | Studio Y. 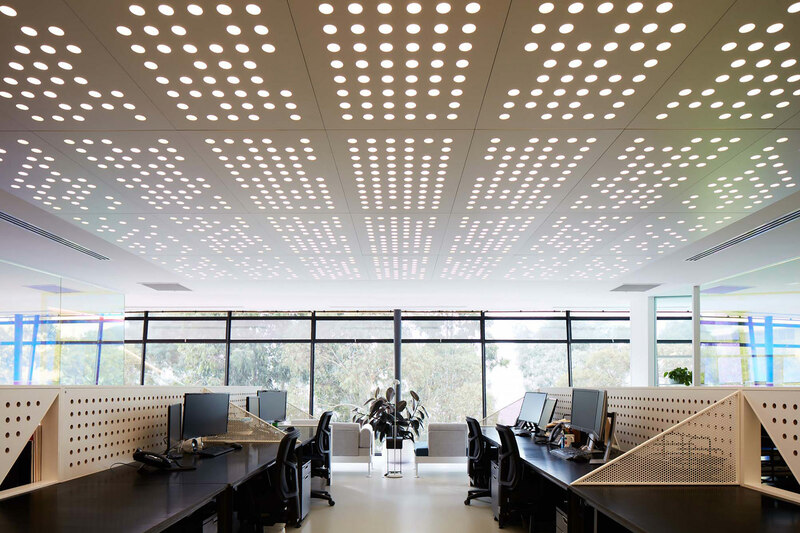 #nofilter – the work space that is its own Instagram filter! 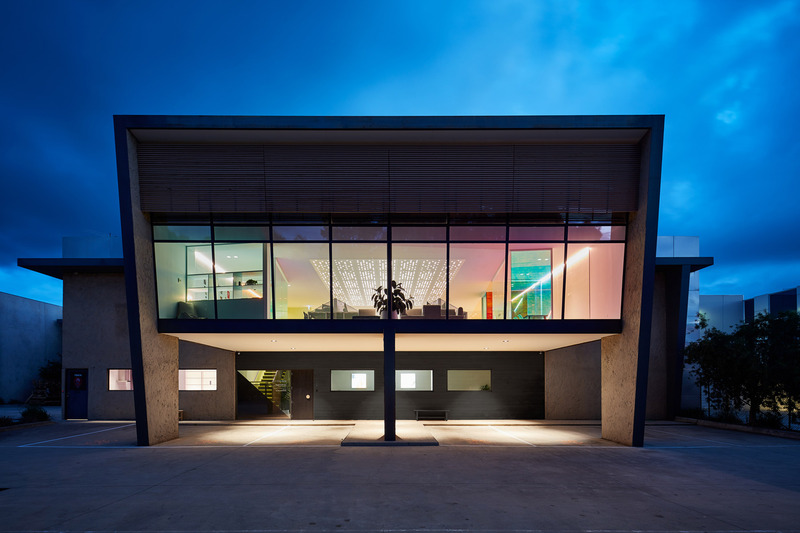 Studio Y. 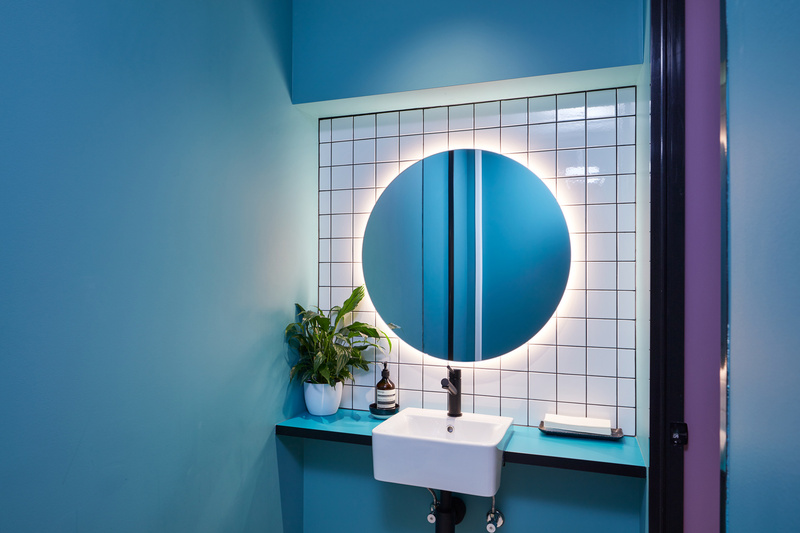 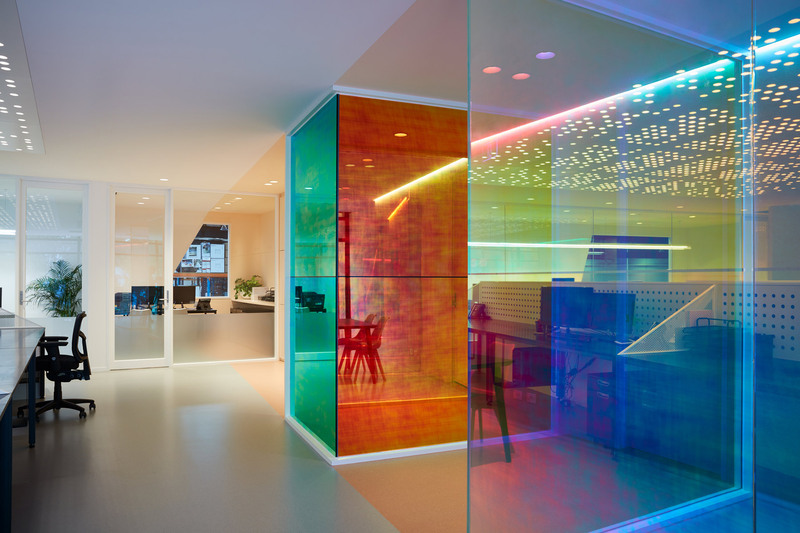 's fresh office design for leading lighting designers Ambience Lighting is a playful interpretation of the optical phenomenon of prisms. 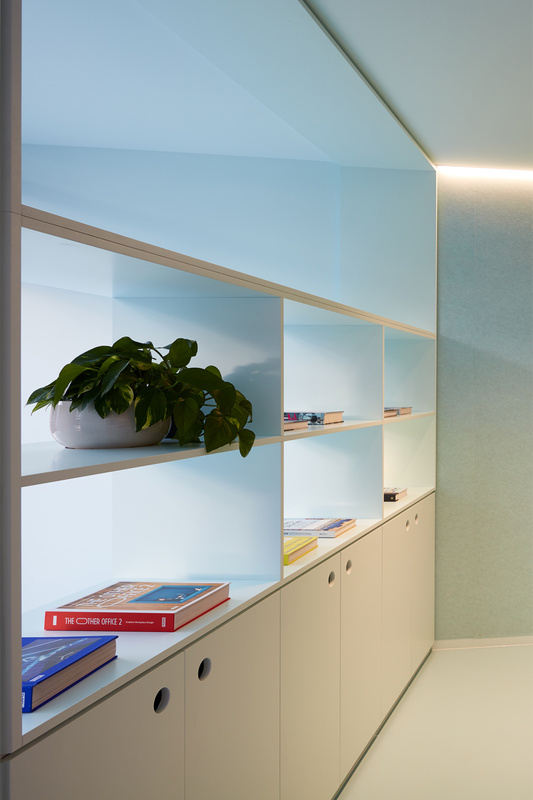 Varied visual stimulation at different times of the day is created throughout the space by colour, shadows and angular geometry of walls and joinery. 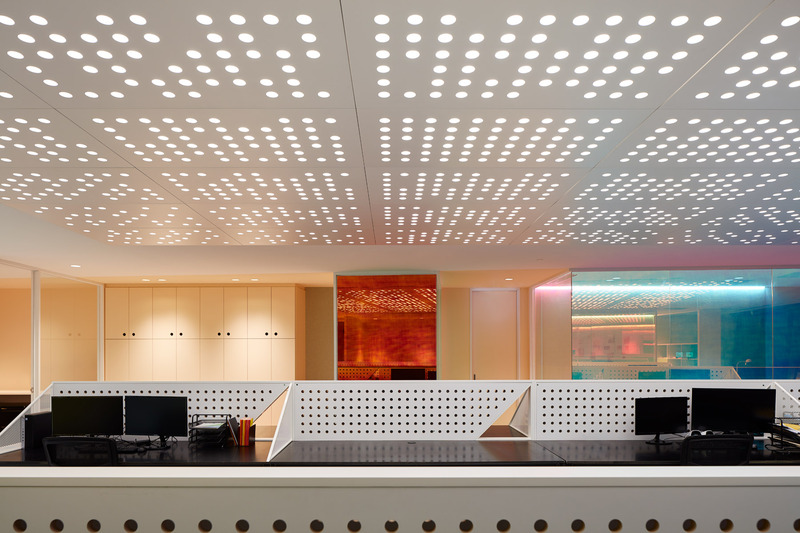 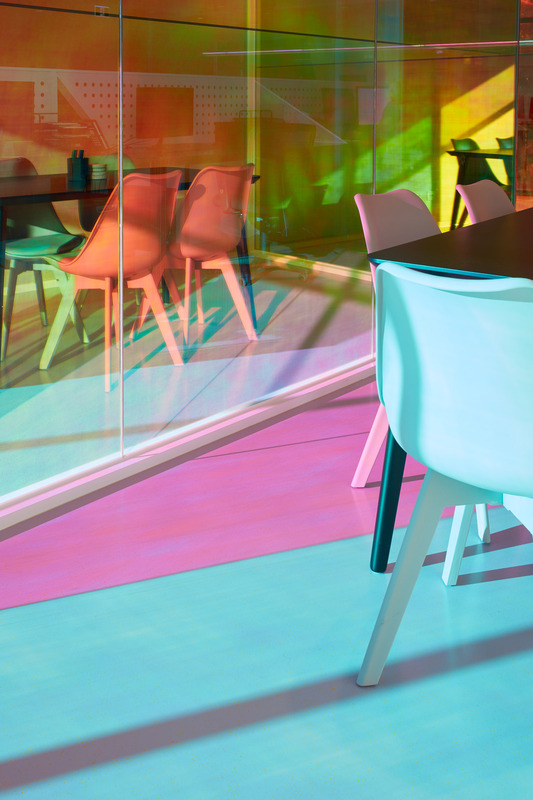 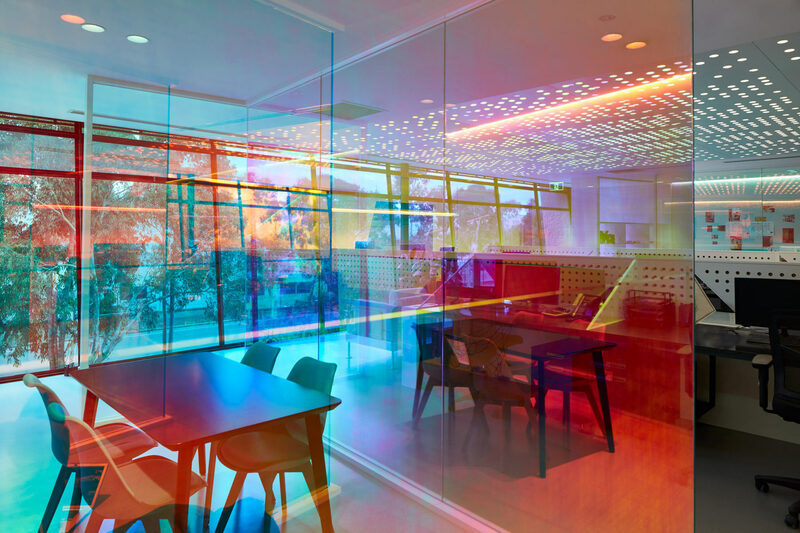 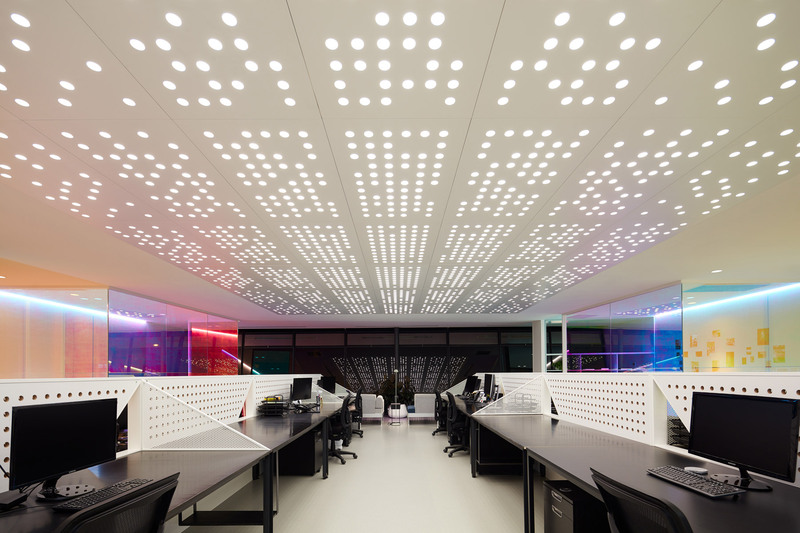 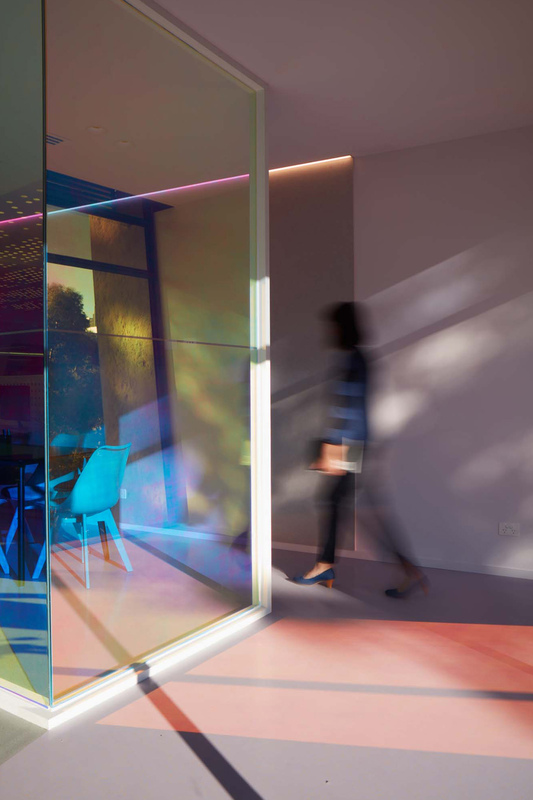 The office consists of a main open space, defined by more intimate and colourful working areas, all visually connected and filtered through a dichroic film that alters perception of depth and range.